$20 General admission. RSVP for free cover before midnight. 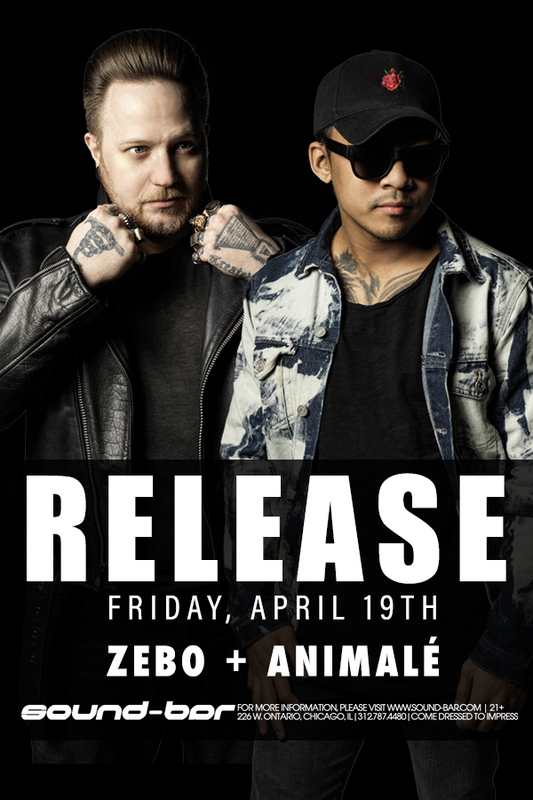 Release Fridays continues this week featuring Zebo and Animalé on the main dance floor, DJ Spin and DJ Kice in the VIP room, and DJ Tecknique and friends on the lower level. Sound-Bar is a strictly 21+ venue. Come dressed to impress.